A full service Flooring company. Top Hardwood Floors provides high quality flooring services for your home or business. With more than 10 years experience we are a highly recommended and respected service, providing you with a flooring team who will understand and meet your needs. We will install your floors like they are our own - to perfection. And we guarantee you will be 100% satisfied with our service. Let us do your floors for you! 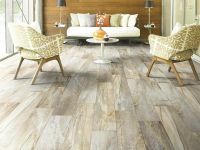 Discover stylish new designs in laminate flooring that look like reclaimed wood, weathered metal, and natural stone. LVP is the most durable flooring, captures the beauty of natural woods and stones and adds an exclusive finish made with Diamond 10™ technology. This flooring is 100% waterproof and resists scratches, stains, and scuffs like no other Armstrong floor.